Southern Africa in 14 days would be a trip of a lifetime for anyone! The extraordinary bounties of Namibia, Botswana, Zambia, Zimbabwe, and South Africa are out of this world. I hope you’ll visit and experience the wonders of nature, wildlife, culture, history, food and so much more. Imagine looking into a lioness’s eye 5 feet away! Imagine an enormous elephant walking up to say hello early in the morning! Imagine a towering, graceful giraffe walking alongside the car! 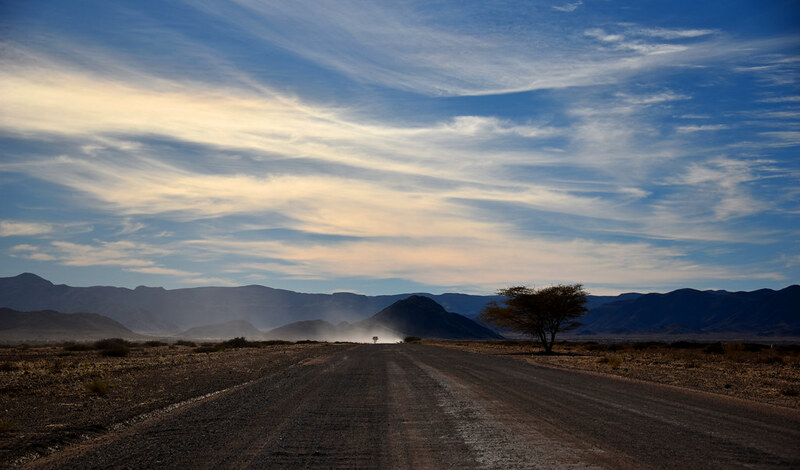 Imagine driving in the vast endless landscape of Namibia! Imagine the stillness atop the enormous red sand dunes with nothing but winds for company! 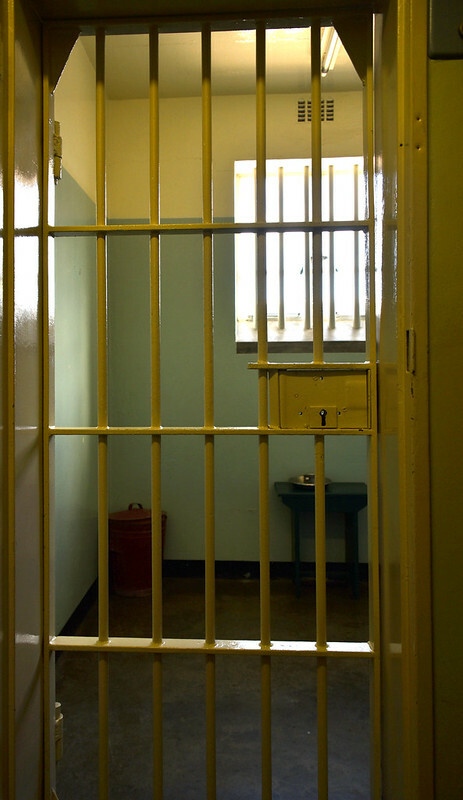 Imagine standing in the cell in Robben Island where Nelson Mandela lived! 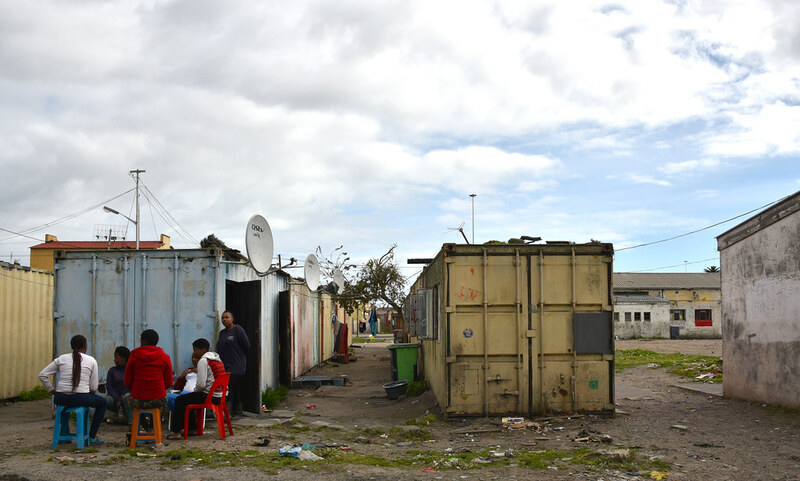 Imagine the horrors of apartheid South Africa’s township and its accelerating recovery! 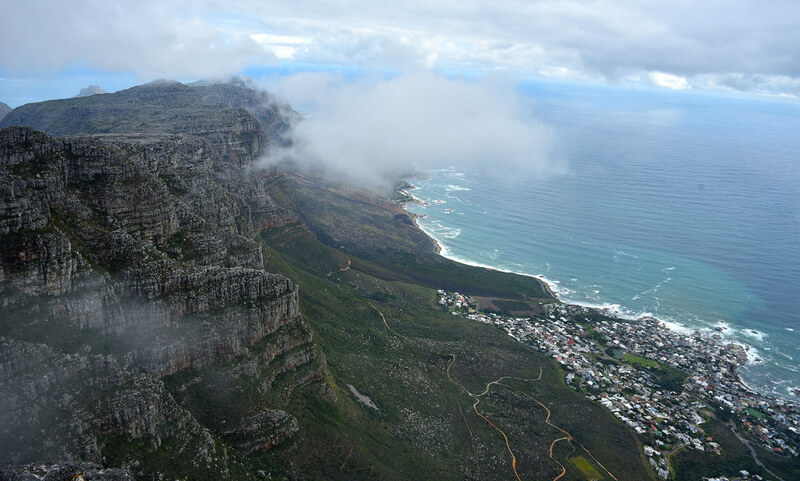 Imagine the feeling of being suspended atop Table Mountain with the breathtaking views all around! 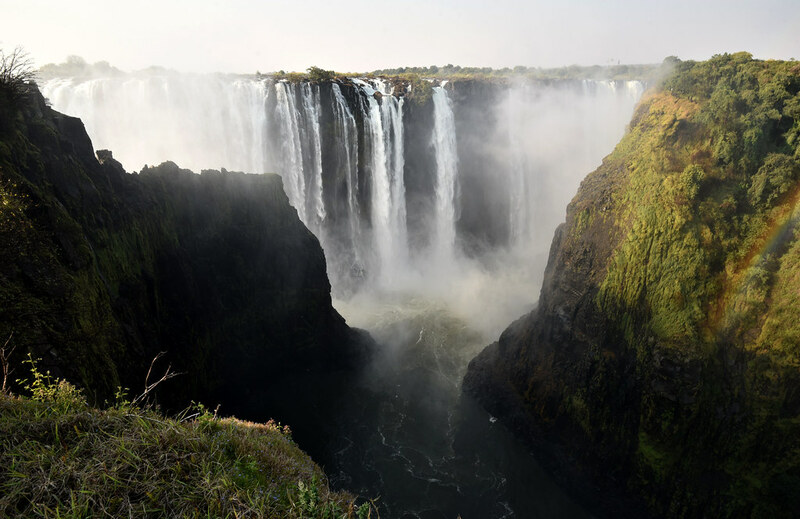 Imagine the feel of gushing water from mighty Victoria Falls, while suspended over a canyon! Behold each moment at it takes your breath away and is etched in memory forever and ever. Come on the journey with us and travel to the marvels of Southern Africa in 14 days. We arrived in Kruger National Park on Wednesday, August 1st after having left San Francisco on Monday, July 30th. It was a crisp and cool winter afternoon and the travel had been comfortable with a layover in Istanbul, and a quick domestic transfer in Johannesburg. We landed in the most charming, authentically African, Skukuza Airport inside the Kruger National Park. The Skukuza Airport is tiny and very efficient. Since it took a little while for our rental SUV to arrive from another location, we got some extra time to chat with the staff, get a day pass and admire the uniquely artistic jungle airport. Once we had all the documents in order, we showed the Kruger National Park day pass to airport security and headed off to our first game drive! It only took a couple of minutes to acclimate. Within the first few hours of starting our ‘Southern Africa trip in 14 days’, we spotted impalas, giraffe, elephants, and monkeys. The dainty and elegant impalas are everywhere in Kruger National Park. The elephants were plentiful and a joy to watch in Kruger National Park. The baby monkey was so cute in Kruger National Park. We made it to the hotel and checked in before dinner start time of 6:30. Our home in Kruger, Protea hotel by Marriott, is right at the Kruger National Park entrance. In fact, it’s inside the National park’s fence. So animals roam in and out quite freely. It’s made to feel like a Safari lodge in the jungle with all the amenities including a bar on the deck, breakfast, dinner, spa, pool, game room, tennis, etc. With our jet lag, we woke up at around 3:30 and took the 6 am sunrise Safari with the National Park ranger. They picked us at the hotel and dropped us back after 3 hours in a huge Safari truck, where we could comfortably walk and view wildlife standing about 4 feet from the ground. Kruger National Park Safari Truck for 3 of us. Being out on Safari before sunrise is my favorite thing to do as we always did in Kenya. At dawn the Park is quiet, the air is cool and crisp, and animals are just starting their day. We enjoyed the early morning encounters with impala, Yala, bushbuck, elephants, antelopes, hyena, slender mongoose, zebra, giraffe, brown snake eagle, hippo, warthog, rhinos, and crocodile, just on our first-morning safari in Kruger National Park. The morning was a great start to our Southern Africa trip in 14 days. After returning from the morning drive, we had breakfast, strolled on the hotel grounds and took the SUV out for a game drive. At the Kruger National park entrance, we learned that we need to get the day pass every day, even though we had pre-purchased the tickets. Luckily it wasn’t a busy season. We drove towards Lower Sabie because the drive is popular for sighting all animals including the big cats. We were in for a treat, we saw so much amazing wildlife so up-close that we didn’t make it all the way to Lower Sabie. We had to turn around if we had any chance of making it back to the gate by the 6 pm curfew. So we missed a dozen lions that we heard lay on the beach by Lower Sabie all day and hunted buffalo on the road in the late afternoon. We were thrilled to have spent all afternoon viewing a leopard, elephants, giraffe, amazing birds, raptors including the grand African fish-eagle, antelope, and their many cousin species. Dinner at the Protea included various vegetarian and vegan options including salads, hot dishes like South African curry, rice, potatoes, corn, pasta, stir fry etc, which they changed every night. The meat and barbeque options were much more elaborate. On Saturday evening, a group of extremely high energy teenagers performed native tribal dances for all the guests at Protea by Mariott. On Friday we made it all the way to Lower Sabie and further down to Crocodile Bridge Camp area. We left the hotel early with a packed breakfast and lunch for a marathon 12-hour Safari drive. We stopped at the picnic area at Nkuhlu where we could walk on the patio by the river and watch a few animals without being in the car. The big attraction for this drive was the lion pride resting by the beach just before Lower Sabie. We missed other lion sightings that people talked about all day but we did see the six lionesses and a lion on the beach. The Sunset Lake by Lower Sabie really felt like we have heaven on earth. It’s a circular lake with hippos in the water, crocodiles one bank, impalas on the other, birds enjoying a wonderful life all around, a few trees with massive haystacks like structures. I’m not sure if it’s the sight of water or the greenery and red soil all around or exotic birds or impala hop/skip/jumping by the water, or the sight of those trees. It just felt like a place more serene and beautiful than I could imagine or put into words or pictures. 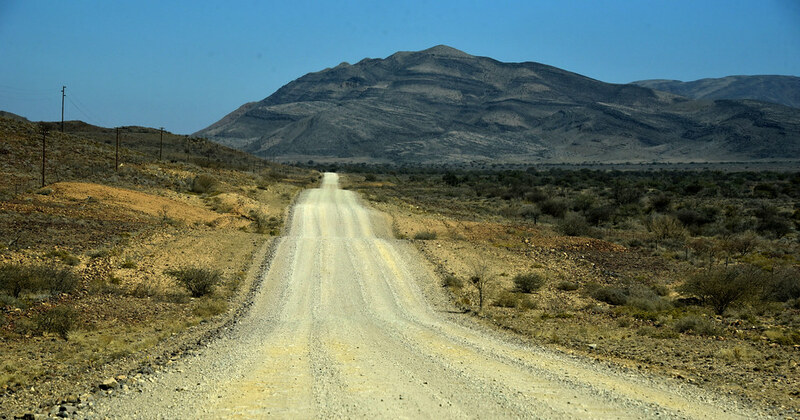 After Lower Sabie we took to S28, a dirt road, to see what life is like away from the river. It was as if we were transported to a different forest or rather clearing. All the small birds and animals that could not be sighted in the dense shrubs suddenly came to view – colorful birds, jackals, ostriches, zebras and more. We stopped at the Crocodile Bridge camp for a picnic with food from home and packed lunch/breakfast from the hotel. We were so glad to have packed home food or it would have been a sad vegetarian boxed lunch. The picnic areas were really nice. The freely roaming deer were an extra treat. We noticed a crowd of cars in the middle of the road. There could be only one reason for so many cars – a big cat crossing. We drove over, nudged in and saw her standing tall in the middle of the street as everyone photographed her. The lioness suddenly started walking and came so close to me looking into my eyes that I froze. I could only fit a part of her in my viewfinder as she walked away. After filling gas we headed to the Hippo Pond on S25, another dirt road. In addition to being another beautiful sight with the river, lush greenery, lazy crocodile, elephants – this is also a popular lion sighting place. We were not disappointed. There were several lions lying on a beach on the far side. Thankfully, other tourists lent us their binoculars to view the lions. Lions resting under the warm sun by the Hippo Pond in Kruger National Park. We were in for many treats all day long. 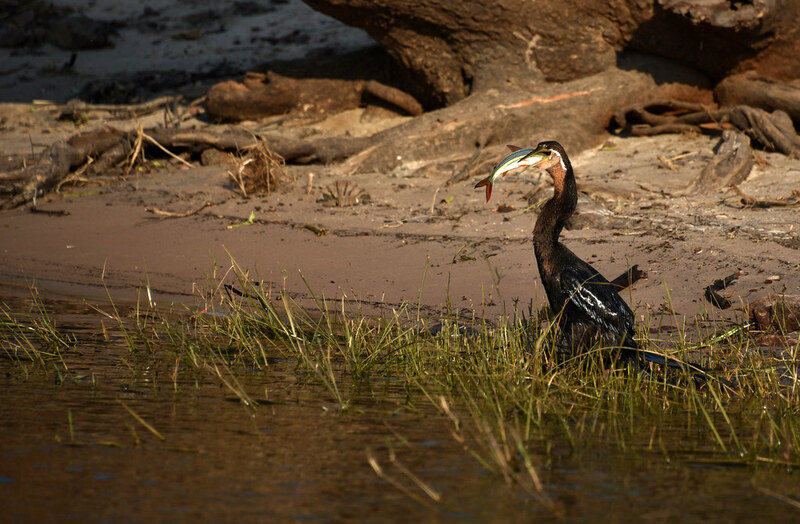 In addition to animals, we had seen the previous days, we saw many lions, a leopard in the tree, ostrich, jackals, warthogs up-close, elephants and giraffes only a few feet away, lizards, crocodiles, swimming hippos, more species of monkeys, and many unbelievably beautiful birds. In the evening we returned to the hotel for dinner and a couple of hours of rest followed by the night Safari. Our Safari truck arrived promptly at 8 pm to take us to the night drive. We got lucky again and had the entire 16-seater to ourselves for the 2-hour drive. Night viewing is quite a different experience. The ranger provides with thick warm blankets and floodlights. The blanket keeps the cold away and the floodlights reveal the animals in the night. The idea is that we shine the floodlights out into the jungle from our open Safari truck. The light bounces back from animals’ eyes. Based on the color, height and number of eyes we shout for the truck to stop. Unless the eyes belong to one of the grazers like impala which are rather plentiful, we stop to view the animal. At night we were hoping to see big cats as they go hunting. We didn’t spot any of them, but we got to see some nocturnal creatures like genet cats, owls, rabbits, and hippos feasting(rather than swimming). While we spotted the leopard’s kill, we didn’t see the leopard that night. An impala hanging from a tree and genet cat stealing a leopard’s kill. 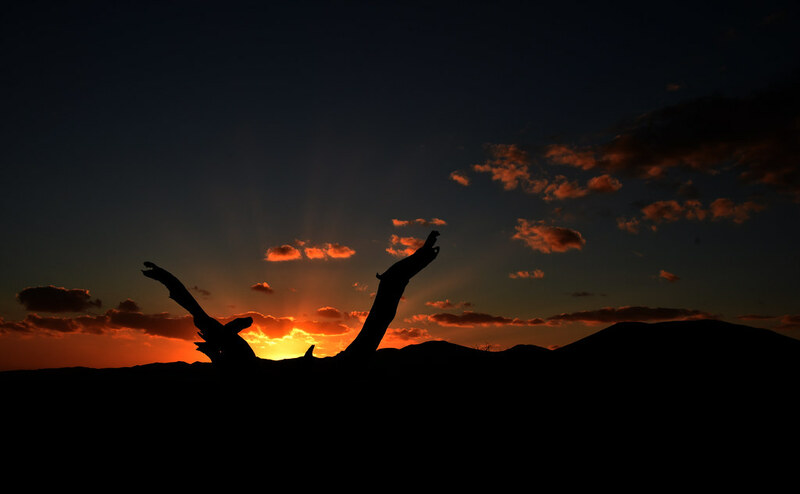 It was quite an amazing evening on the third day of our ‘Southern Africa trip in 14 days’. In the morning we went back to see the leopard but there was no sign of the leopard or the Impala. We saw wildebeest and other wildlife. Two wildebeests ready to prove who’s the boss. After a lovely breakfast and walk in the Protea hotel’s grounds, we went drove to the Kruger Mpumalanga Airport via many South African villages. Alternatively, we could have taken the scenic route through the banana plantations. Riding to work in Africa. At the airport, we met with Johnathan, an awesome local artist and a photo prints shop that exhibit Kruger’s rich wildlife, flora, and fauna. This was the end of the first phase of our ‘Southern Africa trip in 14 days’. We arrived at Livingston’s Avani Victoria Falls resort in the afternoon. 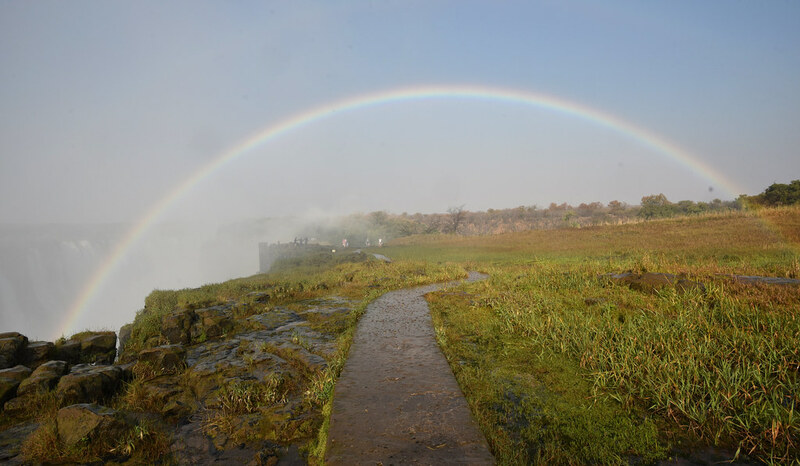 Since the resort is part of the National Park and the Victoria Falls complex, we had full access to the falls without the entrance fee. Taking full advantage of the resort’s location we walked over to the Victoria falls in our backyard and thoroughly enjoyed it until closing time at 6 pm. We had planned to leave the hotel at 5 am to catch the ferry at 6 am to Botswana. But the driver was delayed by half an hour! It turns out, he was held up by 6 elephants that decided to stand in the middle of the road. The only thing he could do was wait for them to pass. But that was ok because the ferry was delayed by an hour due to what looked like mechanical issues. After doing four immigration checkpoints at two border crossings – Zambia->Zimbabwe and Zimbabwe->Botswana, we finally met our Safari guide and truck. Chobe is famous for its water wildlife, birds, and elephants. But we had the most incredible luck! We saw three leopards and about 10 lions in addition to over a dozen other species like hippos, elephants, giraffes, buffalo, impalas, warthogs etc. It was wonderful sitting under the trees watching the leopards as they twisted and turned in sleep and walked periodically. They looked at us every now and then but keep resting, quite content. A couple of them even came down to the forest floor to change their resting spots, which was a bonus. We would have been happy to spend the rest of the day watching the leopards, but it was time to go. 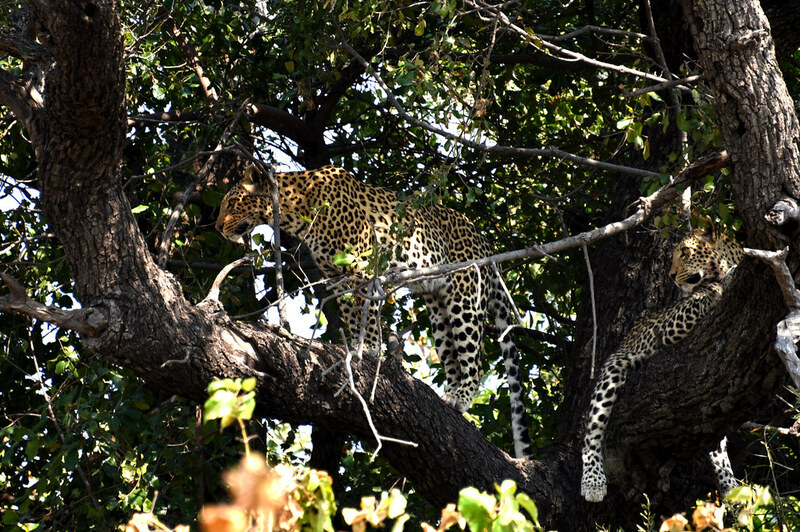 Its such a rare treat in Chobe National Park, that was the first day in 3 months that the guide had seen a leopard, let alone 3 leopards. On the way out, we were overjoyed to see two mommy lionesses escorting their cubs to the Chobe river. The group crossed the road right in front of us. We couldn’t believe our lucky stars, and it was just morning. 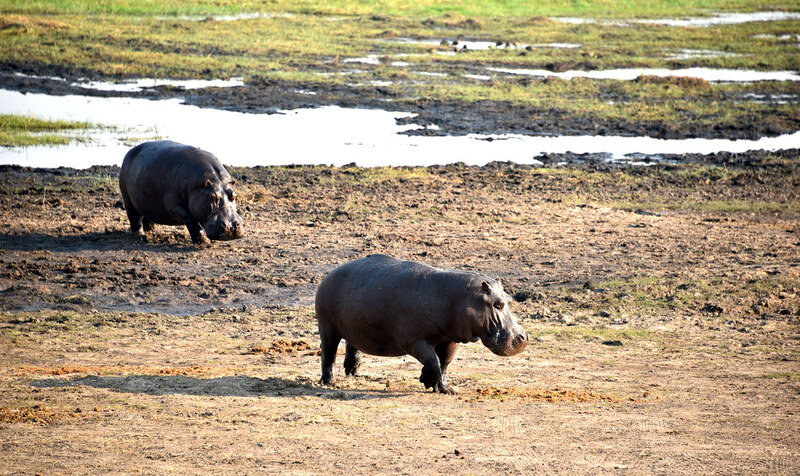 The sightings in Chobe and Kruger National Park already made our ‘Southern Africa in 14 days’ totally worth it. 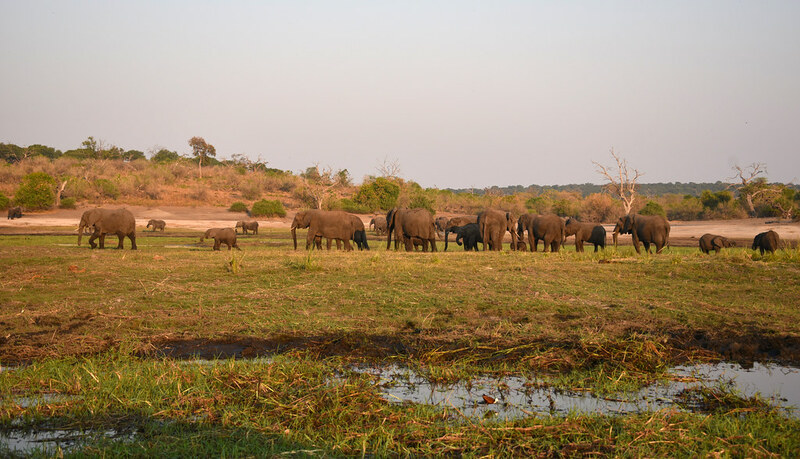 To read more about Becoming You’s safari in Chobe National Park, Botswana. After a hearty lunch at the Chobe Safari lodge in Kasane we explored around, chatted with travelers, rested a while and charged our phones. We were spending the day with Daniel, a fellow traveler from Boston. He had been traveling solo across many countries in Africa for two months. He had such amazing travel stories! He made an excellent companion for the trip. At 3 pm we left for the most incredible sunset boat safari. We got to see hundreds of animals and out-of-this-world gorgeous birds, up close and personal. It seemed like all the animals had come out to the river for the afternoon. Some spend the night by the river and some leave to return to the forest for dinner and sleep. On the way back we did the same border crossings all over again and had room service after the 15 hour day filled with amazing encounters with people, animals, and birds. We went for an 8 am horseback ride from our sister resort, Royal Livingston. 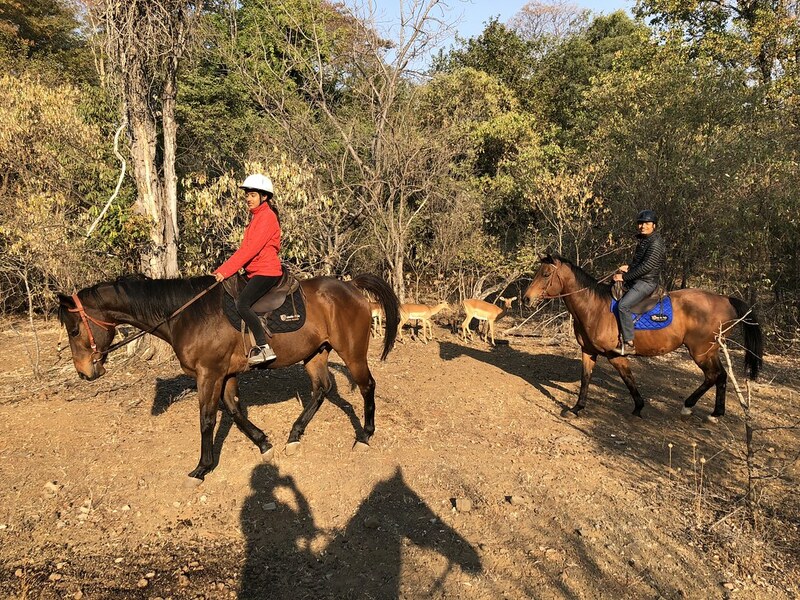 The stables behind the resort have an excellent program for trail rides to the National Park and carriage rides within the resort grounds. Most importantly, Likwita, the horse trainer is a gem of a person and the horses were extremely well cared for. After the ride and some rest, we walk over to Zimbabwe. Along the way, I made friends with Thethelela a school teacher in Zimbabwe. The walk must have been almost an hour including the two border crossing offices but it didn’t feel like it as we had so much to talk about. The bridge between Zambia and Zimbabwe overlooking Victoria Falls. For lunch, we stopped at Mama Africa for a traditional meal of Saaji, Kovo and vegetable curry. It was amazing, just as our guide Webster had said. The decor was authentic African. It felt so real to be out on our own on the streets of Zambia and Zimbabwe mingling with the locals, outside the perfect little bubble of our comfortable resort. We spent the afternoon in Victoria Falls on the Zimbabwe side. The water was such a welcome sight after spending the afternoon walking in the sunny and dusty the streets of Zimbabwe. 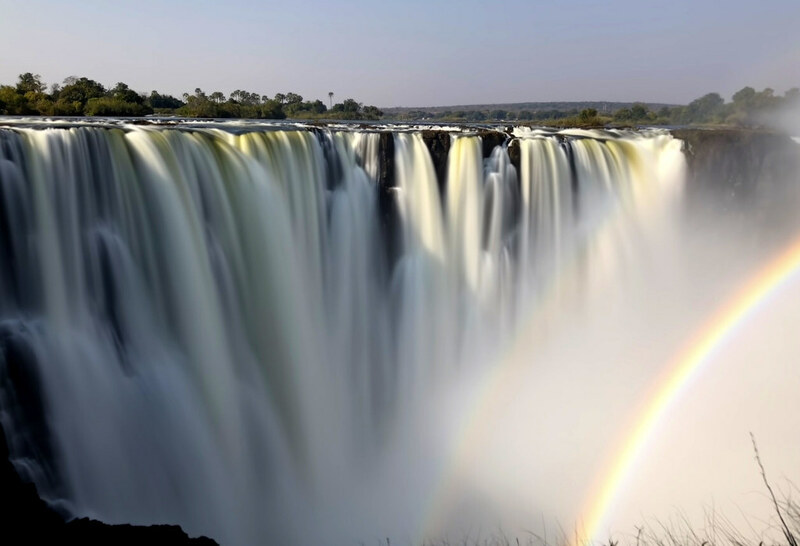 The Victoria falls are equally mesmerizing on the Zimbabwe side. We spent the rest of the day enjoying the natural wonder of the world. 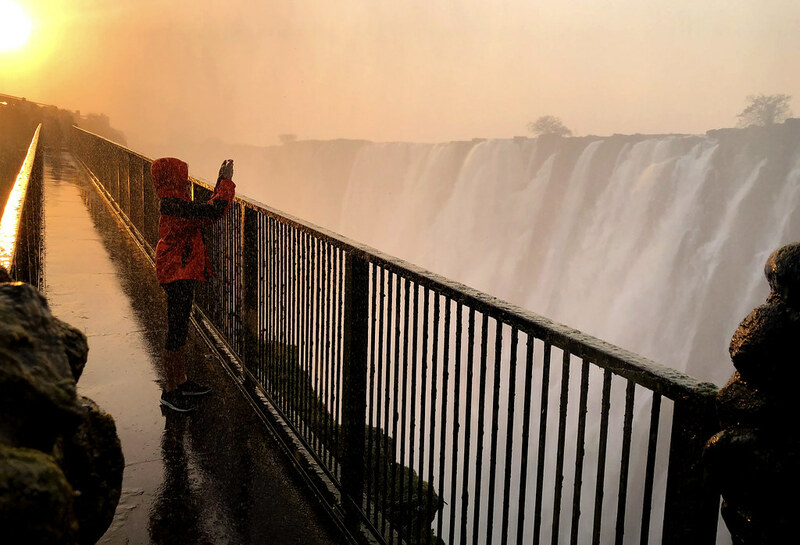 After a day of 31,949 steps including almost 3 hours on horseback, we slept early and slept in until 6:30 am, to realize that we must have missed sunrise on Victoria Falls. Anyway, we took a chance and it paid off, we got to enjoy the beautiful morning on the falls all by ourselves. It was a lazy morning with an elaborate breakfast in the resort, walk on the resort grounds to see the 4 resident giraffes and 9 zebras. As the resort is in the National Park, they are able to get a permit to have some wild animals on their grounds. Although I’m not sure it’s such a good idea. One of the resident young giraffes in Royal Livingston & AVANI resort. After much relaxing, we headed to the airport in Zimbabwe, passing the customs and immigration one last time. At the airport, we have one more traditional African lunch. Traditional African food at its simplest deliciousness in Zimbabwe Airport. With the hand sewed apron shopping in Zimbabwe, we ended the second phase of our ‘Southern Africa trip in 14 days’. Windhoek, the capital of Namibia was quite a surprise. For a country that got independence merely 28 years ago (in 1990), it looks very well developed and very modern while being true to its culture. We should spend some more time in this beautiful city next time. For our first night in Namibia, we stayed in Arebbusch which was really more like a gated neighborhood with individual home or duplex. Each room had a kitchen, outdoor barbecue, sitting area, front, and backyard. Along with shared ‘square’ with common rooms, pools and other entertainment. But we left first thing in the morning to drive to Sossusvlei. This time we used Google map for directions as Apple Maps didn’t cover these parts of Africa. That was a bad idea. We should have followed the blogs and highway signs. We used long and terribly bumpy gravel and sand roads arriving an hour later than what Google maps estimated. But just being in the enormous expanse of the vast desert was uplifting and refreshing. 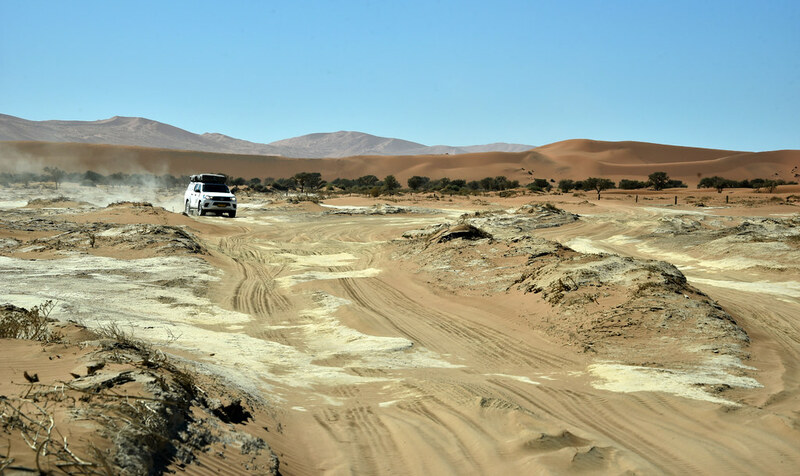 We entered the Namib-Naukluft National Park via the Sesriem gate. 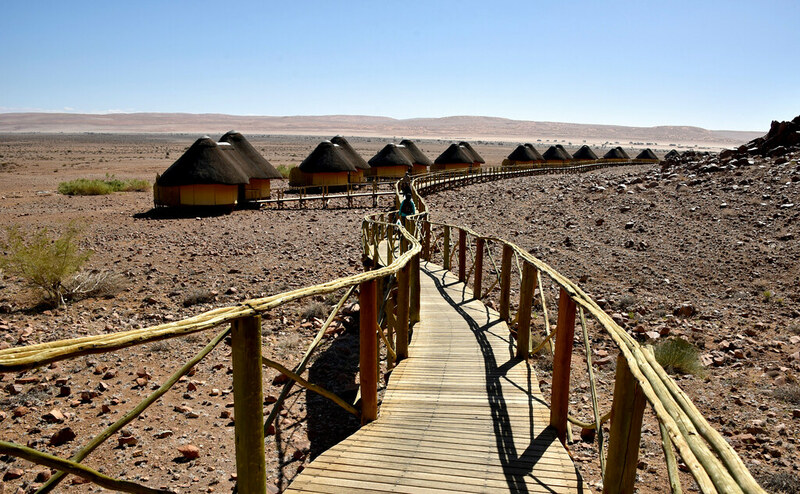 The Sossus Dune eco-lodge and the campsite are the only accommodations inside the Namib-Naukluft National Park. The lodge and many of the top national park hotels and eco-lodges are owned and operated by a fully owned government subsidiary. The biggest perk of staying the rather expensive lodge was the full access to the National park, even when the park gates are closed. On our first evening, we watched the beautiful red desert sunset from Dune 45. With the dunes almost all to ourselves. We climbed up to the top of Dune 45 for views of the desert turning even more red in the setting sun. The small scattered clouds made the colorful sunset even more dramatic. Our first night in the desert was extremely cold. Even the water on the car’s windshield froze during the night. We woke up to a freezing room since the lodge has no heating or air conditioning. We really didn’t want to get out of bed, but also didn’t want to miss the morning light on the dunes, the foremost reason for flying in and driving the rough drive there. We braved the cold and were treated to an amazing sunrise on Big Daddy, which is commonly believed to be the highest dune in the Namib desert. It was a quite a hike up 86 floors on pristine red sand dunes (according to my Apple watch). 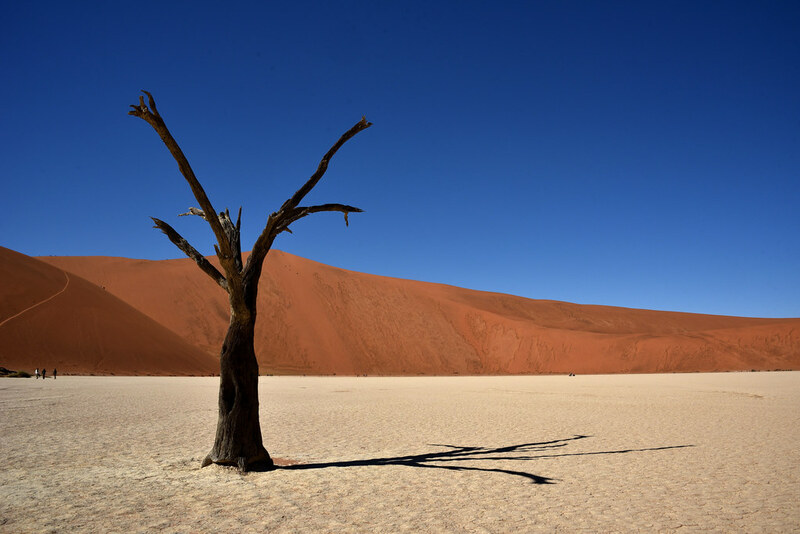 Next to the Big Daddy Dune is Deadvlei, a dried river bed with ancient dead acacia trees. We got so lucky to have the cold weather. We were there until noon, in the direct sun and yet felt wonderful. Normally, visitors are back in their room, under the ceiling fan, before 9 am. After some lunch of delicious avocado toast & fruit and some rest in the room, we headed out to the Elim Dune area for wildlife sightings and views of older dunes covered with vegetation. We returned our room for a gorgeous sunset, hot cup noodles, and upma. I’m glad we carried some food with us because the lodge only had set dinner with no vegan option. We had the vegetarian meal on the first night and it was very well made. With a heavy heart, we left the amazing national park and returned to Windhoek on much better roads. We learned our lesson and did not follow Google maps. Along the scenic route, we saw more wildlife – springbucks, oryx, ostrich, sociable weaver and many more birds. We stopped at Solitaire, an old town from the days of German occupation. Now it’s pretty much the only tiny town/hamlet on the route. It has an amazing bakery cafe and antique German farm vehicles at the town entrance. 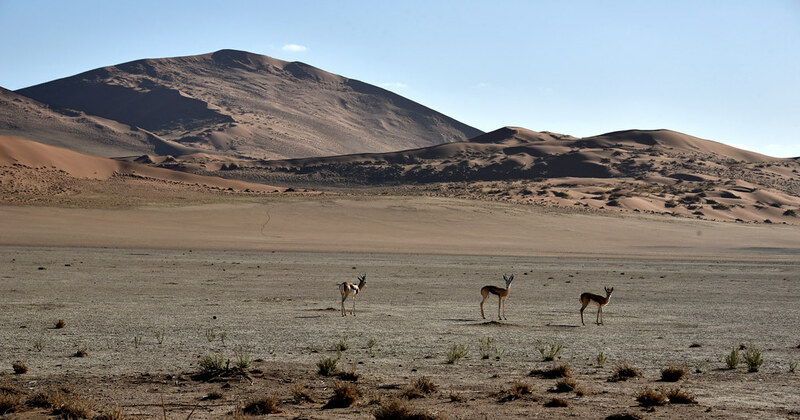 We drove past the Naukluft Mountain Zebra park which is home to zebra and other wildlife that have adapted to the arid and mountainous ecosystems. It may be a good half day stop if we had time. Back in Windhoek we stayed in Avani and once again returned to Col’Cacchio at the Grove mall, the largest and trendiest mall in Namibia. Every phase of our ‘Southern Africa trip in 14 days’ has been amazing in its own way. But Namibia was a much more than I had anticipated. We need to return for a month and just explore the whole country, including the nomadic tribes, mountain wildlife, beaches, Kalahari and Windhoek. 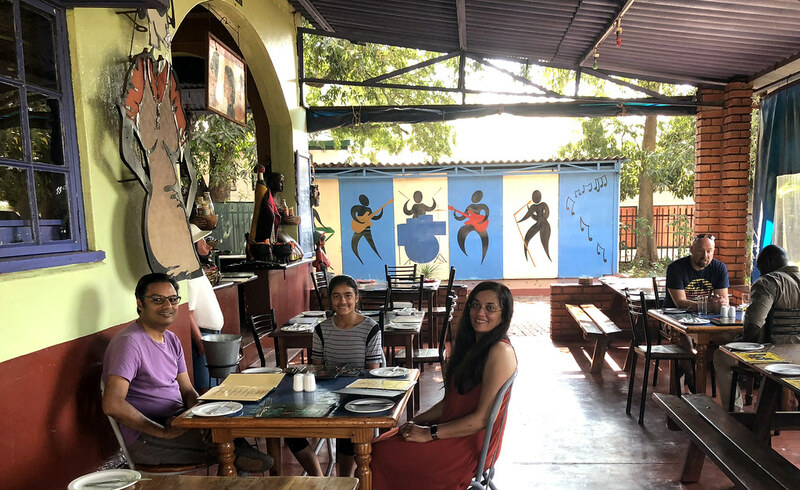 We flew from Windhoek into Cape Town on an early morning flight, settled in our beautiful Airbnb in a happening neighborhood and got lunch at Hungry Herbivore. 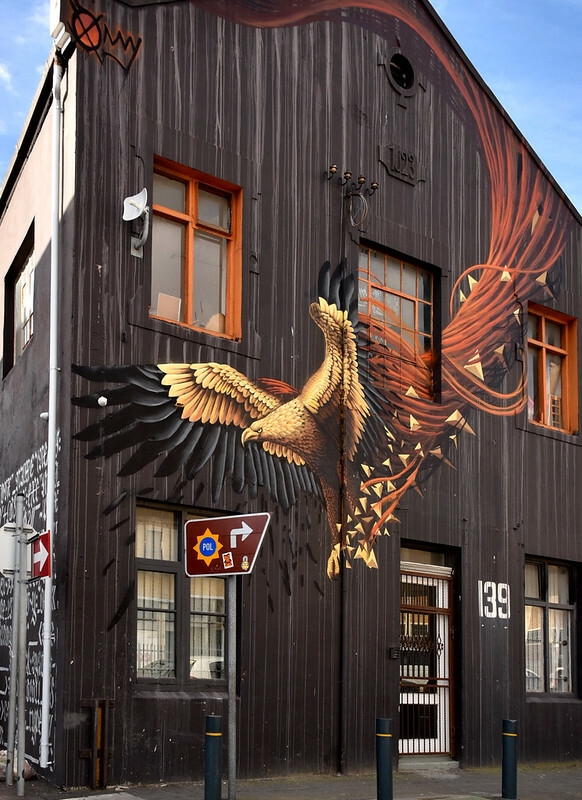 Immediately, Cape Town’s vibe felt like the Bay Area, a combination of San Francisco and Bay Area cities. 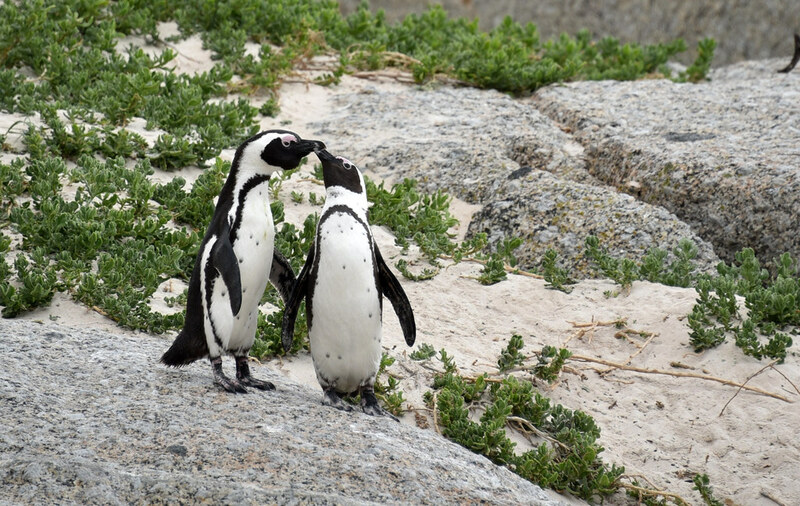 We visited Boulders Penguin Colony on the southern side of the cape in Simon’s Town along False Bay which boasts a very rich and biodiverse ecosystem. The beach had hundreds of Penguins in Action and many in the nesting areas under the bushes. The boardwalks are the perfect vantage point to view and photograph the busy penguins. We got breakfast at Jason bakery as recommended by ~500 Google reviewers. As everyone said, their avocado toast and teas were awesome. A delicious toast with a South African avocado in Jason’s Bakery, Cape Town. We took the ferry at 11 am to Robben Island but the line actually starts around 10 and they load the ferry’s on a first come first serve basis. We stood in line from 10:30 to 11:30. It’s important to buy the tickets online ahead of time and get in line at least an hour early. The bus tour was informative but the maximum security prison tour with an ex-inmate was extremely touching. The hardships in the prison were beyond anything I had expected, especially coming from someone who had lived through it. I can’t believe people came out alive let alone people like Nelson Mandela went on to lead the freedom struggle movement from such extreme conditions. These men must have been made of a different fiber to be able to forgive and love those that inflicted so much agony for no reason. 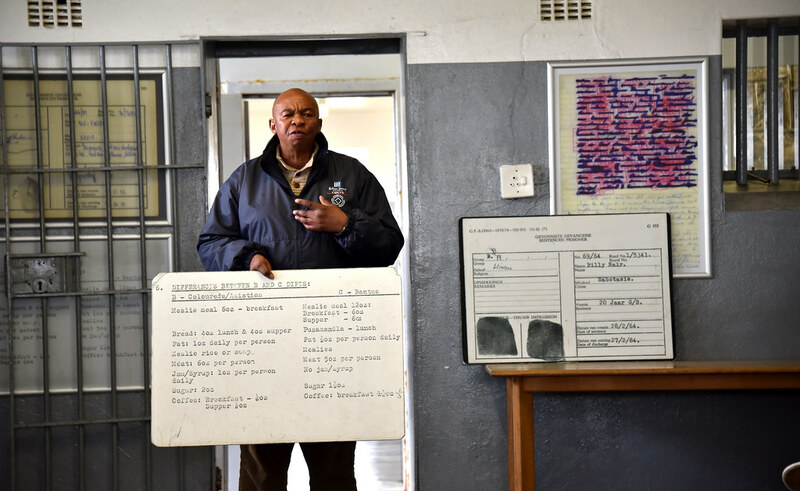 President Nelson Mandela’s cell is still preserved, as it would have been when he lived here. We expected to be back to the mainland by 2:30 but it was past 3:30 pm when we returned. 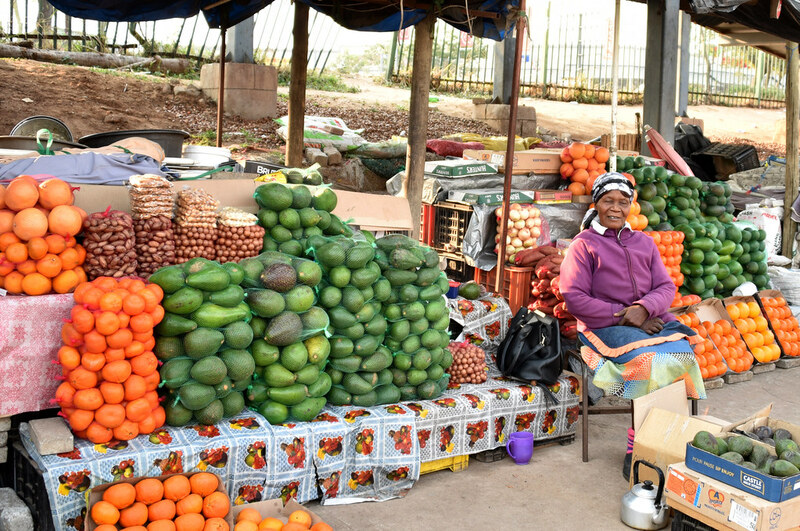 V&A food market is located within the waterfront area. It has a variety of food stalls including smoothies, juices, ice cream, samosa, rice rolls, Indian, Thai etc. We tried a variety of creative foods for a late but delicious lunch. In the evening we took a walking tour of the Bo-Kaap neighborhood. On the tour, we learned about the very interesting history of the Muslims in Cape Town, its people, food and current affairs. Along with the history, we learned why this neighborhood has such vibrant colors. 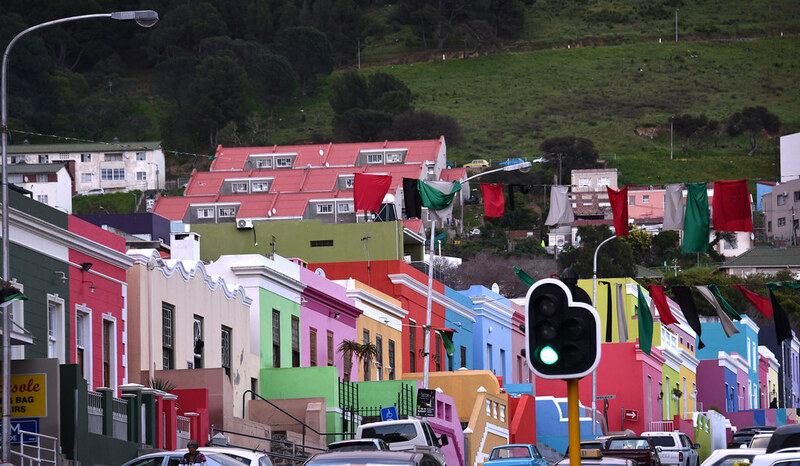 If you’re short on time, Bo-Kaap can be easily included in a 1-Day itinerary. After all the travels, a massage was long overdue and luckily we found an appointment at Ruan Thai. Even though it was late for them, the took us and gave a relaxing massage. For dinner, all the places in our neighborhood had closed, except for the Eastern food market, which stays open until 10 pm. It’s like a food court for locals with almost ten stalls of different Indian, Chinese and Turkish fast foods. It has very low prices, huge portions and great for locals and tourists. We packed lots of extras for the homeless in the neighborhood. We were curious about life in the apartheid era and its consequences in South Africa. 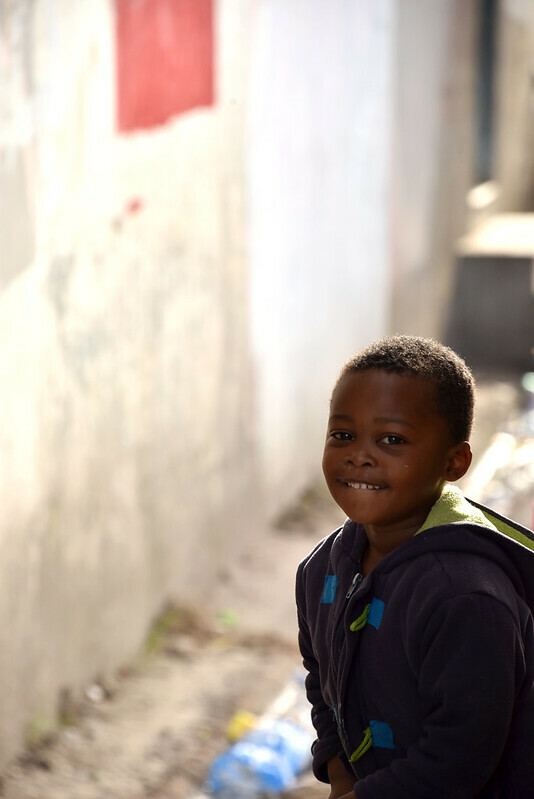 Luckily we could a great tour led by a resident of the Langa Township. Over the period of a century, the blacks were segregated into ‘townships’ where men and boys lived in congested hostels with no privacy. It’s pretty much like a prison for hard labor, for being black, on their own land. What we had heard and seen in movies is nothing compared to the extreme inhuman condition they lived in. But to our delight, there is now also a zeal to make these places economic powerhouses. The people here are driving change locally with support from people and universities in the US, UK, and other places. While there is such an enormous gap to be bridged, there is hope for dramatic growth in the next decade. We took an afternoon trip up to Table Mountain on the cable car. It certainly is quite amazing but I’m not sure why it’s on the ‘new’ seven wonders of the world list. 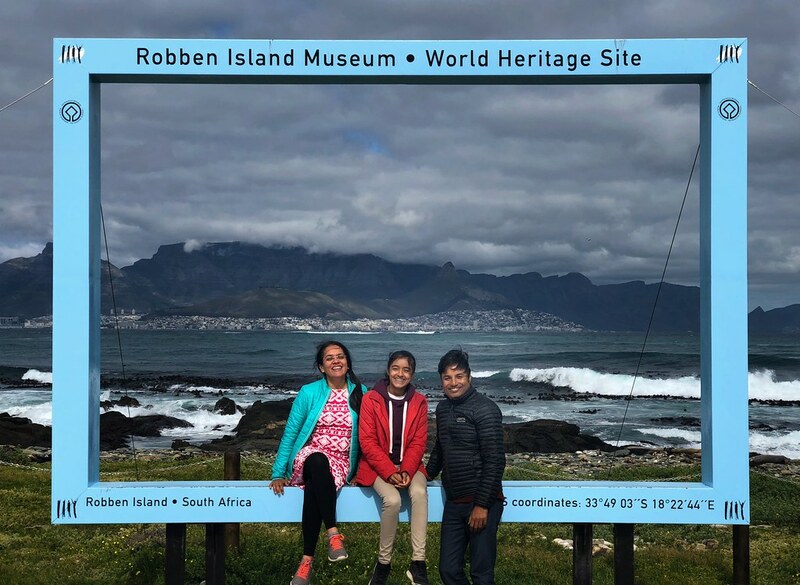 It is the top destination for visitors to Cape Town but maybe it was a little underwhelming for us because of the cold and dense fog. It is important to pre-purchase tickets in summer because the line can be 3-4 hours long. I would say not to buy tickets ahead of time during weekdays in winter, instead go up when the weather is clear. We reached the Old Biscuit Mill, in the Woodstalk neighborhood, just before most of the shops closed. But, we got to do some shopping and dinner. The neighborhood reminded me of San Francisco’s Mission district. 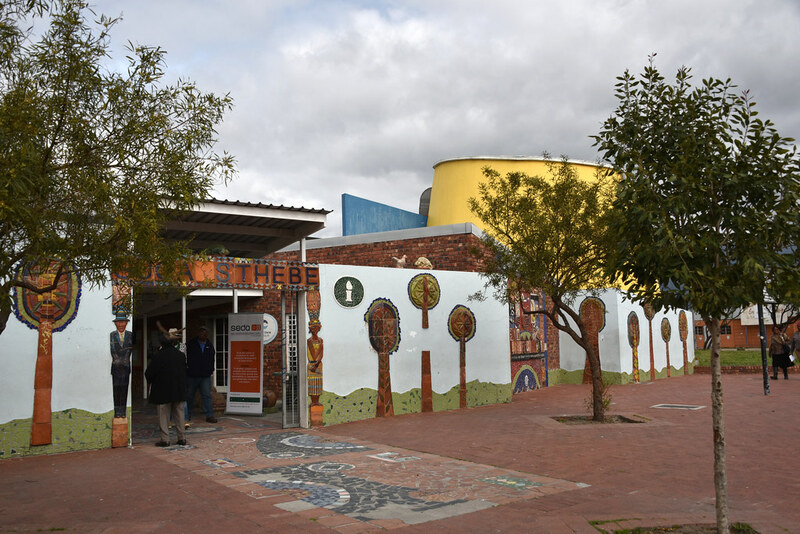 It has an art ghetto feel with many craft workshops and full wall murals. We spent much of our last morning relaxing in our beautiful apartment with views of Table Mountain and then walking around the V&A Waterfront area. We found that in all of Africa, the most visited place is none other than the Waterfront area of Cape Town. It’s for good reason. 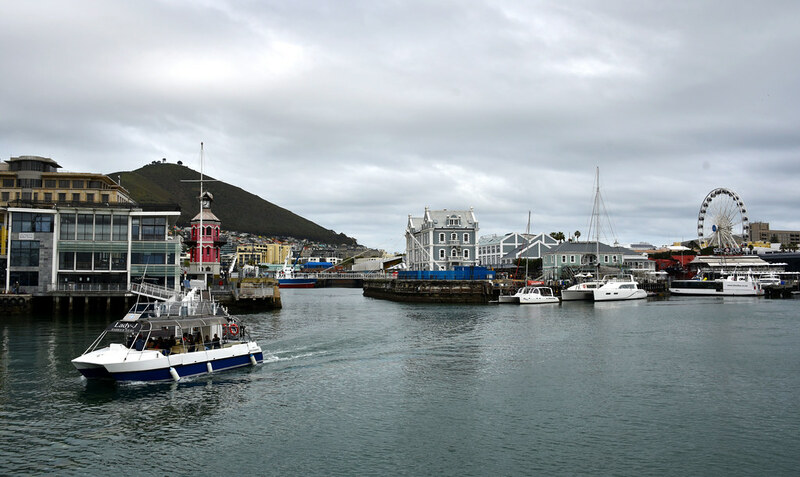 The waterfront offers high-end malls, outdoor walking areas, restaurants, views of Table Mountain, water activities, V&A food market, the Nobel Laureate statues, Robben Island tours, hotels, cafes and so much more. It was hard to say goodbye to Southern Africa after 14 days of exploration. But all good things don’t have to come to an end. This trip will live on the pages of Story at Every Corner forever. Botanical gardens and the new canopy walk. Architecture and interiors of the beautiful old buildings. 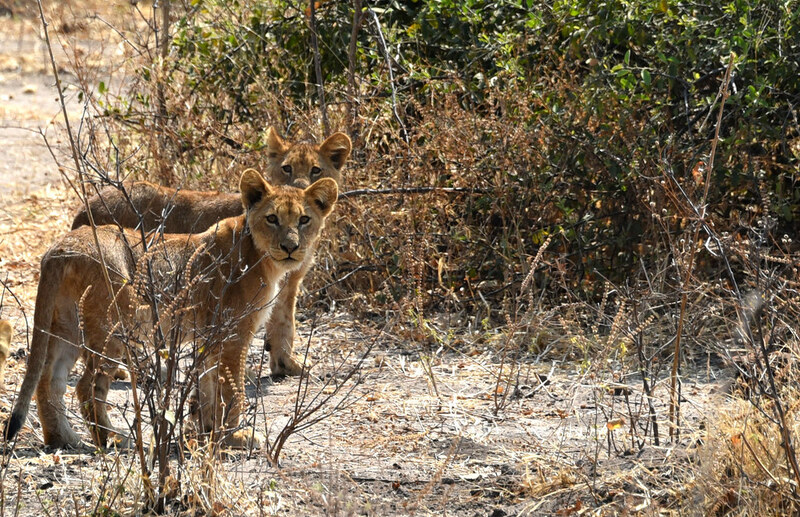 Why did lionesses with cubs cross the road in Botswana? Victoria Falls from Zambia and Zimbabwe, the largest waterfalls in the world! That’s a great post, Jyoti with some awesome pictures. 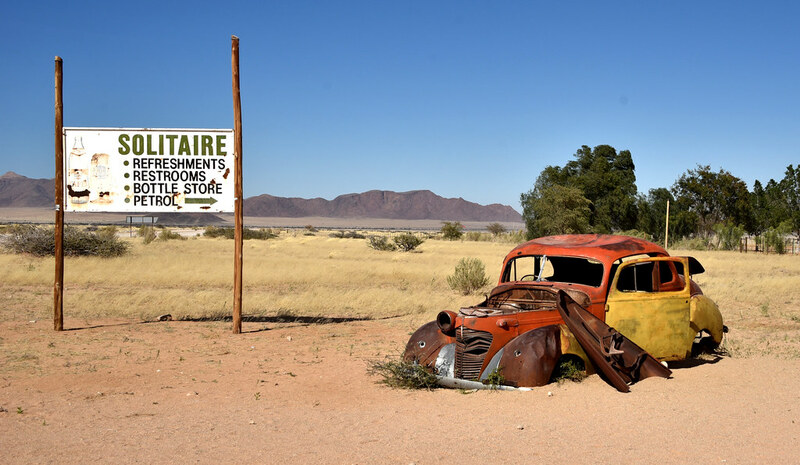 Your Namibia pictures are stunning. They are at par with images we see on Nat Geo mag. Just awesome! It definitely looks like a great relaxing experience with your stays in national parks. I definitely enjoyed reading this post. Thanks Arvind! Really appreciate your kind words. National parks are our absolute favorite, especially in Namibia where they are so vast that we rarely see anyone around in the vast openness. Wow! I’d love to be on your shoes visiting Southern Africa for 2 weeks is like a dream for me. I love watching animals in their natural habitat that what makes them more precious in my opinion. Your photos are stunning, I’m just curious what kind of lens did you use to get that close up image of the animals. Amazing pictures. 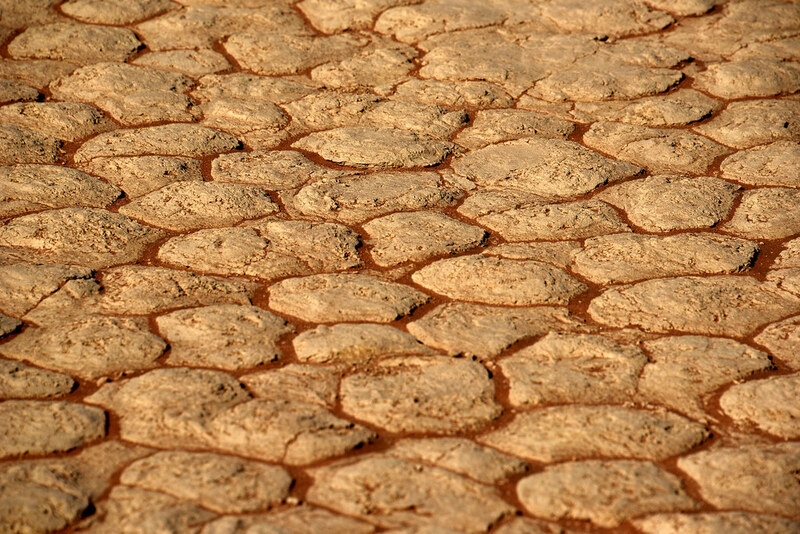 I particularly enjoyed your Namib Desert photos. Would love to see all the wildlife in South Africa one day. I hope you’ll visit and take lots of time. The best way to watch wildlife is stay relaxed and watch life unfold in its dramatic ways. Thanks Greta! All the best in scheduling the trip. You’ll love it. Wow!! So comprehensive and what an amazing trip. You could turn this into a book. Hi Gareth, you’re so kind. I have so much material, maybe someday I’ll look into a book 🙂 Thanks so much for your vote of confidence. You have an amazing pictures! I have never been in Southern Africa and it is definitely on my bucket list! Beautiful photographs. You covered a lot of ground in 14 days, and it’s great to read that you saw so much wildlife. What a stroke of luck to see all those leopards and manage to photo them. This post moves going on a safari way up on my bucket list. Hi Nancie, you’re right! we did cover a lot of ground. One day when we retire, I want to go back and take a lot more time in each place. It’ll be amazing. The leopards were definitely a treat and huge stroke of luck. I’m so glad the safari ranger didn’t rush us other of there. After an hour, when we left it was just in time to see the lioness and cubs crossing. All the best on getting safari to the top of your list and schedule. What an incredible bucket list adventure! Did you plan this yourself?? Thanks for sharing your trip with us! You have some incredible pics! Hi Ella, you’re right it was a trip of a lifetime, but I do want to return for more time to soak in and explore Namibia and Botswana. 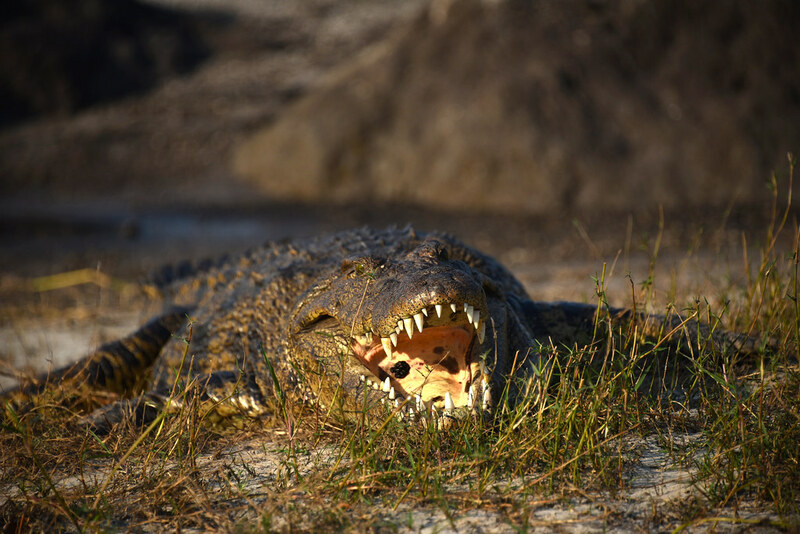 Botswana’s Chobe national park is amazing and teeming with wildlife. But I do want to visit Okovango Delta and Etosha too. I’m so sorry Dead Vlei was not more obvious. Which season did you visit? I am planning a 2 week honeymoon and want to go to Cape Town, a safari in Kruger, Victoria Falls, and Namibia. I feel like we’ll be squeezing too much in. We’re there highlights of your trip that you’d prioritize over others? Hi Michelle, it would largely depend on the season and your goals for this trip. We visited Southern Africa during their winter and we were able to cover all these places quite comfortably. 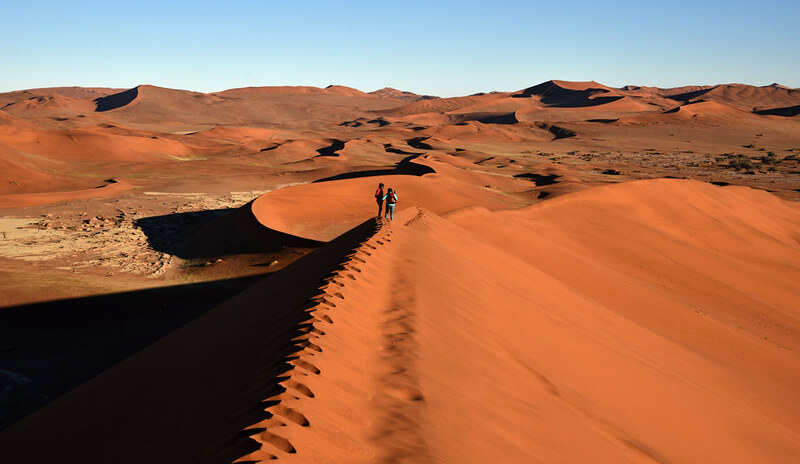 1: Namibia – the dunes were amazing and out of this world. 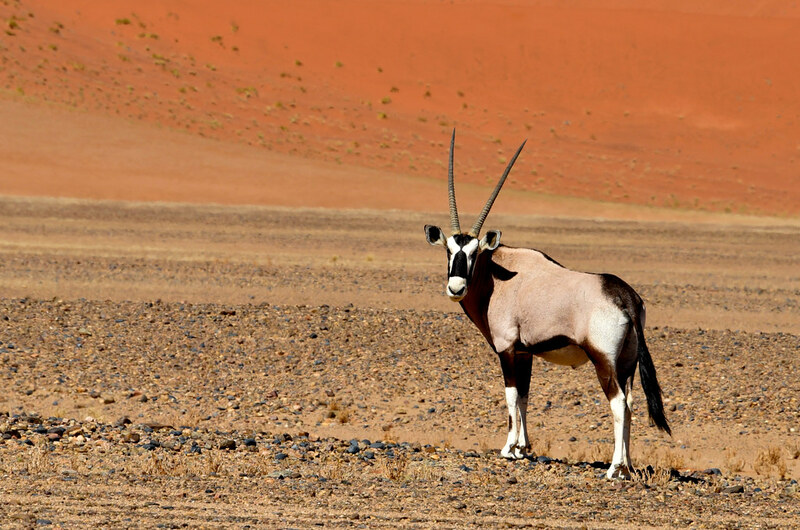 I wish we had time to visit beaches, marsh and mountain wildlife in Namibia. 2: Kruger – is teeming with wildlife, especially the roads along the river. A must visit if you’re in Southern Africa. 4: Cape Town is a gorgeous city – in many ways it reminded me of the San Francisco Bay Area, our home town. They had an extreme water shortage at that time and continues to get worse. Other than that is a gorgeous city.